What is A-level Art and Design? 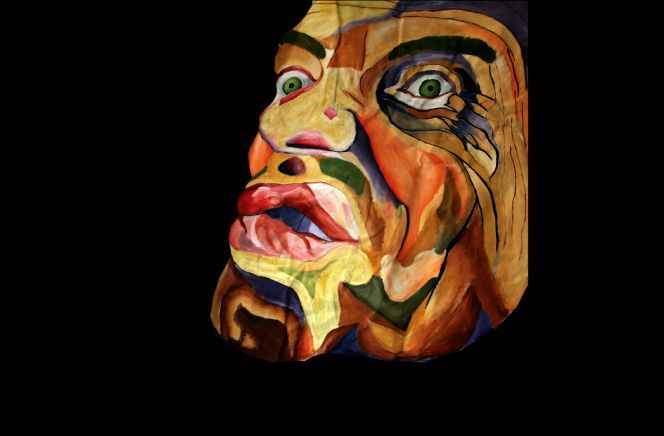 A-Level Art and Design offers students opportunities to develop their knowledge and understanding of visual problem solving skills through personalised learning, which is underpinned by artist research and analysis. Students will have the opportunity to experiment with a wide range of materials and are encouraged to take risks with their work. The course follows a rigid structure that will ensure all the assessment objectives are met, but is designed to allow each individual to flourish by producing rich, meaningful and exciting outcomes that will push their creative thinking skills. Experiment with and select appropriate resources, media, materials, techniques and processes, reviewing and refining ideas as work develops. Record in visual and/or other forms, ideas, observations and insights relevant to intentions, demonstrating an ability to reflect on work and progress. A successful A-Level Art student will have fully addressed the assessment objectives. Their work will reflect a great deal of enthusiasm, effort, ambition, independent learning and an adventurous and enquiring mind over a range of concepts and ideas. A developing personal style, creative confidence and independence in the use of visual language to communicate ideas, feelings and meanings will become evident. A good artist will be expected to come to lessons with a clear idea of what they intend to achieve, and be able to take on board constructive criticism as well as share their points of view on others’ work and ideas. Passion, risk taking and resilience are imperative to success. What can I expect to learn in Art? The fundamental skills of drawing and painting are vital in forming the basis on which to develop ideas. Recording from direct observation and personal experiences will feature heavily throughout the course; this will allow students to express themselves through experimenting with an expanded range of materials. Students are encouraged to innovate through the inventive use of materials, tools, techniques and processes. Students will develop technical competence and manipulative skills necessary to form, compose and communicate in two and three dimensions to solve problems in visual and tactile forms. Art and artists throughout history will be studied and analysed in order to enrich own ideas and underpin development. Where could Art take me? Many of the careers of the future will require people with creative and imaginative learning skills. The study of Art encourages students to question their own values, aesthetic perceptions and philosophy of thinking. Students are often challenged by this critical way of thinking. The subject is unique within the curriculum in developing a particularly expressive and experimental way of working when engaging with the visual and tactile world. All universities and industries are looking beyond just academic success. They are looking for candidates who can offer something more. A confidence in Art and a fluent understanding of thinking laterally in order to solve problems will give students a strong footing when applying for Further and Higher Education. Life drawing sessions and many other extra-curricular opportunities are available within the department. There are also regular visits to Art galleries, museums and places of interest, both here and overseas. We have regular success in shows and competitions, and the department has a recognised reputation in the area for success. Our annual Art exhibitions are displayed in a professional gallery and many of our students go on to further their Art studies at highly regarded institutions, such as the Chelsea and St.Martin’s Colleges of Art, The London School of Fashion and even the Slade School of Fine Art in London.